In order to provide our customers with an efficient, cost effective service we have invested in equipment, improved planning, and over the years have acquired and retained an experienced workforce. The needs for investment in better equipment, and more astute planning were brought into sharper focus a decade or so ago due to the steady deterioration of this country’s summer weather. We had to improve our modus operandi in order to allow us to take fuller advantage of the diminishing number of good bracken spraying days. It was therefore decided to substantially improve the daily work rate by investing in the deployment of a powerful jet turbine engined helicopter and have uprated our spraying equipment to match the aircraft’s performance. 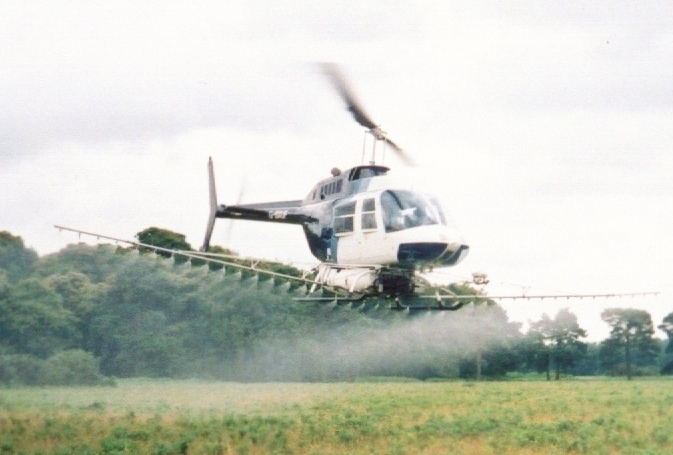 The main rotor blade configuration of this aircraft is highly compatible with our spray boom set-up and with a modicum of “fine tuning” applied to the ‘Rain Drop’ nozzles fitted to the spray boom, we succeeded in producing an extremely effective spray pattern as well as equally excellent swathe control with negligible chemical drift. We have also invested heavily in our ground support units; these are fitted with purpose built bulk handling closed system chemical mixing and delivery facilities which are mounted upon specially designed trailers and their compact “go anywhere” vehicles, chosen for their ability to access the remote loading sites so typical of our type of working arena. 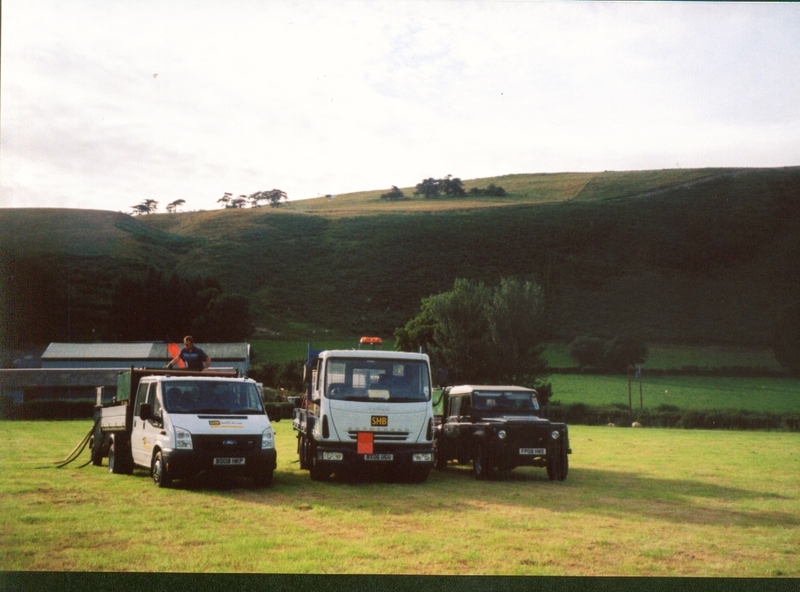 Re-supply vehicles and Land Rover ground support unit at rest. Work output and work quality is also affected by the quality of its staff. We are happy to say that we have been able to obtain and retain the services of some excellent people, all of whom have been with us a number of years. Our two pilots are highly experienced in this somewhat demanding aspect of aviation, the helicopter having often to be flown in extremely difficult terrain frequently attaining some most unusual attitudes! In order to make the pilot’s task a little less difficult, the helicopter GPS based swathe matching system has been upgraded and made more user friendly, this is likely to have also aided productivity. First class ground support is also necessary to enhance and maintain safe and efficient performance. As well as being long-serving, the ground crew are well versed in all aspects of their work, and apply themselves to task with dedication and interest in what they do. Additionally, we have improved route planning to reduce helicopter positioning time and ground unit road miles. 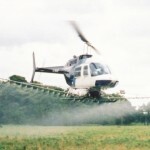 These investments and associated planning measures have served to ensure that M D Air Services is well placed to take full advantages of each and every spraying day that ‘Mother Nature’ deigns to grant us. 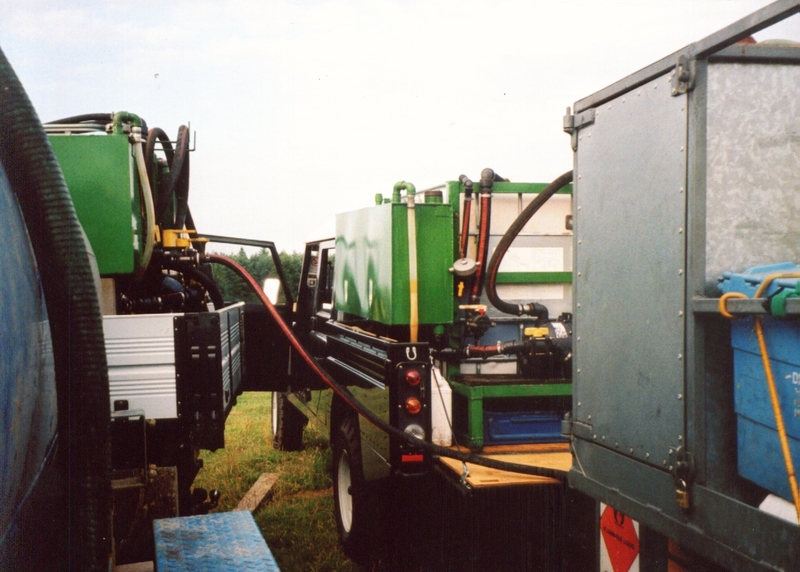 Indeed, although the last three summers have been particularly poor, we have still been able to complete almost our entire bracken spraying programmes. Whilst much of the above has resulted in a faster and more efficient work rate (which has benefited the customer by helping to keep prices in check) other aspects have been aimed at improved chemical deposition. This has in turn resulted in not only negligible levels of drift, but also a very high initial bracken kill rate being achieved for MDAS customers (kill rates regularly being around 99%). Indeed, it is vital that a high level of kill is attained by the initial “blanket spray” operation. Should a poor kill result for whatever reason, (e.g. unexpected rain) attempts to re-spray it the next year, or even the year after, will generally not be fully successful. Such an area should be left until the surviving bracken has recovered sufficiently to produce a fairly continuous frond cover before carrying out a blanket re-spray, however long this may be (earlier attempts at blanket re-sprays might even encourage chemical resistance and should therefore be avoided). In such a situation, the operator will need to liaise closely with the client and agree upon the best way forward. 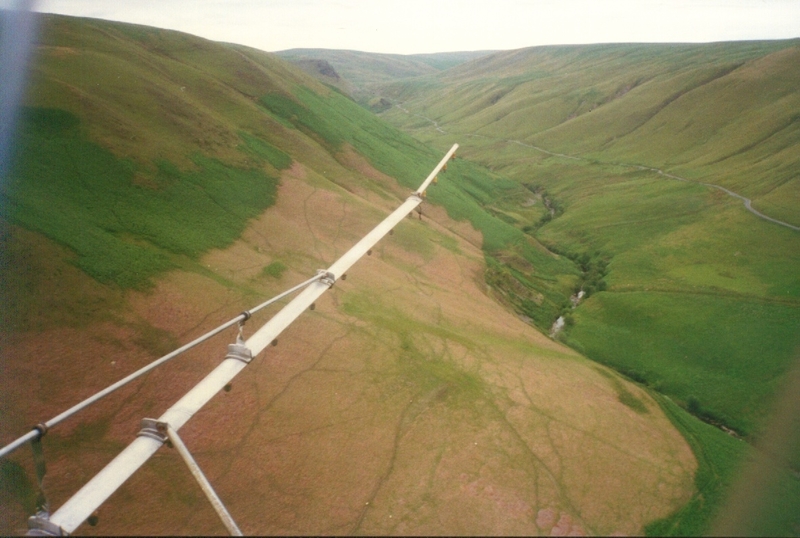 However, missed strips (which do sometimes occur) are not a problem; these can be “touched in” the following year and most operators will spray these for the client free of charge. 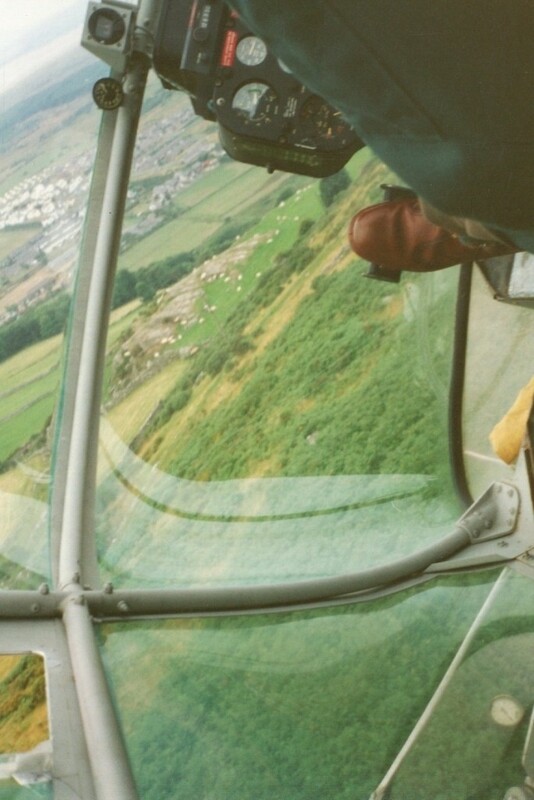 The biggest cost of bracken control is generally that of the initial blanket spraying and to capitalise fully upon this investment, further works should be undertaken; the initial kill rate can normally only be sustained if this is done, otherwise the bracken will often begin to return within 5 – 6 years. The works necessary to stave off regrowth involve preparation prior to spraying, and aftercare/follow up work post spraying. Indeed, it is HIGHLY ADVISABLE that anyone contemplating a bracken spraying programme (by any means) should build these two facets of such works into the plan if they are to gain the full benefit. The above may be of particular interest to Team Leaders/Project Managers in charge of large scale bracken control programmes where significant sums of public money are involved. Attention to these two facets will help ensure that a long term benefit from the works will result , which in turn means good value gained for the money expended. As part of our service to clients, we will be only too pleased to furnish the necessary information upon these aspects on request. We can also assist with advice upon agri-environment schemes and other forms of grant aid appertaining to bracken control.